*Quantum Payroll uses the latest technology to bring you an easy to use yet extremely powerful payroll system. Designed and developed by a team of Irish payroll developers who have been writing Ireland’s most popular payroll systems since 1982. Quantum Payroll, not only gives you a system totally in tune with today’s payroll needs, but it also allows you respond to staff queries at the touch of a button. Commonly requested items such as historical payslips and copy P60’s etc. are instantly available from the system. It also allows managers to access all reports and data for any previous period (for both the current and previous tax years). Since all information is retained indefinitely, this eliminates the need for costly storage. Quantum Payroll can cater for an unlimited number of employees, 100 pay elements and 100 voluntary deductions. Pay elements or deductions can be easily defined as and when necessary giving the user the flexibility to set up any variation of pay type such as Hourly pay, overtime, shift work, wage and salary type pay. Deduction types can facilitate complex Pension calculations, share schemes, AVC’s to Union and Health contributions. Total flexibility is available to reflect the needs of your company. Reports are available for elements or deductions, on a ‘this period’, ‘month to date’, ‘tax year to date’ or ‘financial year to date’ basis. In addition, using the report writer, it is possible to create reports on any element of pay over any time frame – be it tax year, financial year etc. These reports are beneficial for retrospective pay awards, bonus reports, overtime reports etc. Reports like this are easily generated, as Quantum Payroll features a full payslip history. This allows the user to access, on screen, any employees’ payslip for any period within any year. 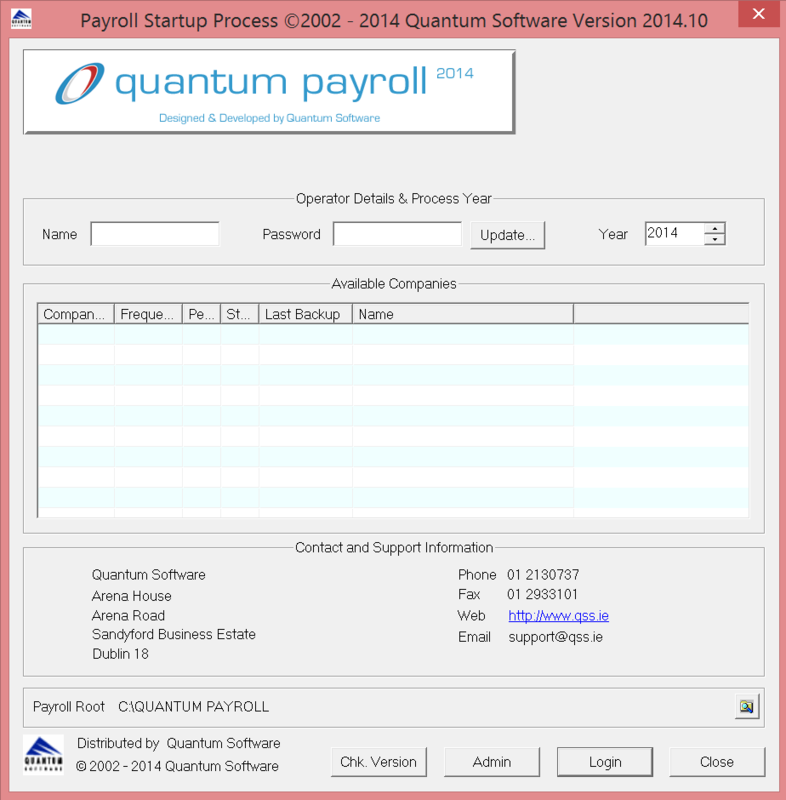 Quantum Payrolls are widely used throughout Irish industry. Clients include many corporate and SME clients from many industry sectors and range in size from 5 people to over 3,000 people. The system is used to pay approximately 3500 companies in Ireland.